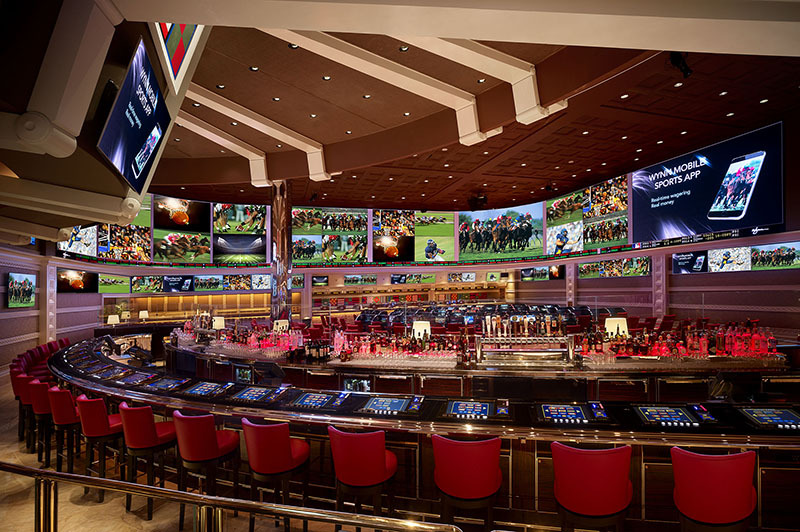 The new book enables sports fans to place wagers on current and future sporting and racing events, relax at the bar or just watch all the live game action. 18 months in the making, the nearly 1,600-square-foot Silicon Core LED video screen replaces three rear projection screens that were previously the centerpiece of the room. The 1,176-tile, 21 million pixel display curves as it wraps around two corners of the room. The LED wall has the flexibility to place video windows wherever they’re wanted while an eight-segment ticker at the base of the screen scrolls constantly. The entire LED canvas – the wall and its windows, layers and tickers – has eleven 2K outputs driven by three Analog Way Ascender chassis and an RCU Master Controller. Analog Way delivers pixel perfect, edge-to-edge scaling, which was required to seamlessly stitch the ticker together into one giant ribbon using multiple scaled video layers – a feat that competitive products are unable to achieve.